Feb. 23 at 7pm: Free & Open to the Public. February 22 – 24, 2012, EarShot (the National Orchestral Composition Discovery Network) and the Buffalo Philharmonic Orchestra (BPO), JoAnn Falletta, Music Director, presented the Buffalo Philharmonic Orchestra New Music Readings at Kleinhans Music Hall (3 Symphony Circle, Buffalo). On Thursday, February 23 at 7pm at Kleinhans Hall, the public witnessed a behind-the-scenes look at the process of bringing brand new orchestral works to life, as music by the four selected composers was read by the BPO under the baton of associate conductor, Matthew Kraemer. The composers – Stephen Gorbos, Elizabeth Lim, David Marenberg, and Daniel Schlosberg – were selected through a national call for scores, and during the Readings received feedback from mentor composers Margaret Brouwer, Sebastian Currier, and Derek Bermel, the conductor and BPO principal musicians. States and Canada including a recent tour to Florida, the first multi-city tour since the 1988 European tour and the first outside of the region since Maestro Falletta led the ensemble at Carnegie Hall in 2004, its 22nd appearance there. Stephen Gorbos composes music that navigates a wide palette of genres and influences as diverse as American rhythm & blues, western classical music, and Javanese gamelan. He has been called “one of the bright stars of his generation of post modernists… an original, compelling and witty voice.” Gorbos’ music has been performed by Minnesota Orchestra, the New England Philharmonic, and the Cuarteto Latinamericano, and commissioned by the Strathmore Music Center in Bethesda, MD. He is cofounder of Collide-O-Scope Music, an ensemble dedicated to mixed media performance, and has received awards ASCAP, Meet The Composer, the American Music Center, and Amercian Composers Forum. He has been composer-in-residence at Copland House, and a fellow at Tanglewood the Aspen Music Festival. Gorbos is assistant professor of composition and theory at the Catholic University of America. He holds degrees from Carnegie Mellon University, Yale School of Music, and Cornell University. His teachers include Steven Stucky, Roberto Sierra and Martin Bresnick. Elizabeth Lim is a doctoral candidate at the Juilliard School, where she studies with Robert Beaser. According to her teacher, she possesses “…imagination which communes with the past and engages with the present.” Born in San Francisco, Lim began composing at age five. Her music has received honors from ASCAP, BMI, the Society of Composers, Inc., the National Association of Composers, USA (NACUSA), and the Society for New Music. Lim completed her undergraduate studies at Harvard University, where she was awarded the Hugh F. MacColl Prize in composition, the John Green Fellowship in composition, and named one of her class’s “Most Outstanding Seniors in the Arts.” She was a participant in the Berkeley Symphony Emerging Composers Program, the Albany Symphony’s Composer-to-Center-Stage program, Palo Alto Youth-to-Youth Commissioning Project, Bellevue Youth Symphony Orchestra Composers Competition, and the University of Nebraska’s Iron Composer Competition. Lim was named winner of the Juilliard Orchestra Composition Competition in 2009. Since the time Lim first began composing, she has had an interest in dance music. One of her earliest compositions paid homage to Viennese waltzes, attempting to deconstruct the waltz into something of her own. Disharmony of the Spheres is a more mature take on a similar idea. Written during the fall of 2011, it borrows the traditional Scherzo and Trio form but quickly devolves into something entirely different. The “scherzo” section resembles a danse macabre, and the “trio” is ethereal and light; however the delineation between the two sections disintegrates as themes collide. This collision sets a course for chaos, redirecting the classical “harmony of the spheres” to disharmony. The composer says, “Deep down in the Abyssal Zone, 13,000 feet below the surface, a strange menagerie of marine life manages to survive the crushing ocean pressures and freezing temperatures. Shrouded in total darkness, bioluminescent creatures thrive on geothermal vents, while large-jawed anglerfish and giant squid sift through the sediment for food. On the 23rd of January, 1960, the Swiss research bathyscaphe Trieste became the first (and only) manned vessel to reach an area of the zone known as the Challenger Deep. The Abyssal Zone is a monument to explorers of the unknown, a slow descent into a region filled with beauty that defies its inhospitable landscape. Safe within the bathyscaphe, the listener EarShot & Buffalo Philharmonic Orchestra New Music Readings, February 22-24, 2012 is witness to the marvelous and dangerous deep. At the same time, it pays homage to other musical explorers who took the plunge into uncharted depths. Harmonically and formally, the piece mirrors the voyage of the Trieste, descending from the familiar to the bizarre and back again. The primary theme is a scalar descent of two perfect fourths, and its contour generates most of the harmonic material of the piece. While writing The Abyssal Zone, Marenberg held to his belief that a composer’s responsibility is not simply to explore uncharted waters but to “report back” in such a way that the listener can best imagine the journey for his or herself. 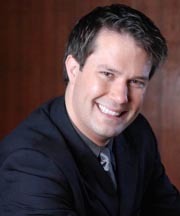 Recognized for his “musical sensitivity” and “energized sense of interpretation”, conductor Matthew Kraemer enters his second season as associate conductor of the Buffalo Philharmonic Orchestra in September 2010. In this role he appears regularly on each of the orchestra’s major series, including subscription weeks, Pops, Family, and summer concerts. He plays a vital role in the BPO’s award-winning education and community engagement programs, in addition to assisting Music Director JoAnn Falletta during recording sessions and on tour. Upcoming season highlights include performances of Miguel del Aguila’s The Fall of Cuzco, a fully-staged production of Prokofiev’s Romeo and Juliet, and tour performances with Idina Menzel in Atlanta, Indianapolis, Long Island, Miami, Orange County, St. Louis, and West Palm Beach. Kraemer additionally appears this season as guest conductor with the Atlanta, Indianapolis, Jacksonville, and Virginia symphony orchestras. EarShot is made possible with the support of the Andrew W. Mellon Foundation, the Aaron Copland Fund for Music and with public funds from the New York State Council on the Arts.